Pig the Pug is back. After his comeuppance last time he is still greedy, but now he has learned to be sneaky as well and tells lies in order to blame everything on his friend, the long suffering Trevor. 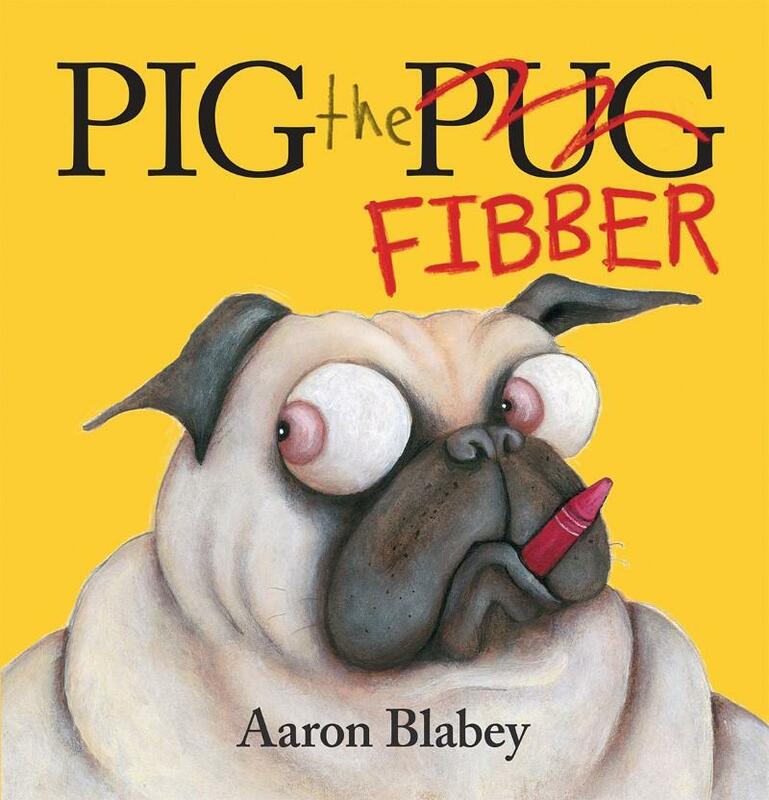 Pig the Fibber lives up to the standard of Pig the Pug. Totally cheeky, totally fun and with a rollicking rhythm which makes the words sparkle and bounce off the page. The characters of the two dogs, and the relationship between them comes across loud and clear through both the text and illustration. And the story-line, while conveying the important themes of truthfulness and friendship, does not feel moralistic. Blabey’s illustrations are humorous, bold and expressive, and add story to the words. Preschool children will easily ‘read’ the pictures but I’m sure their adult readers will be happy to read it to them over and over again. I am a huge fan of Aaron Blabey and cannot wait to see what he produces next.